The educational system in the United states has for many years now shifted resources to teach and test children in common core areas like reading,writing and math, while leaving art and music education behind. And while many people do not appreciated the impact music and art education have in a child, these teachings constitute some of the most important building blocks in their development. From motor skills, decision making, and language development to visual learning, and cultural awareness, art and music education provide the child with the tools necessary to succeed in life. That said, this is a list of art instructions facilities in and around Akron that can be of interest to you and your family. The Canton Museum of Art offers classes weekdays and weekends throughout the day and evening to fit your busy schedule. They offer classes geared to all ages, and all budgets. They offer classes in drawing, jewelry,painting and textiles. If you are planning ahead and want to enroll your child in a summer art camp, then the Canton Museum of Art is a very good choice for you. A beautiful place where memberships can be tailored to the individual or families, and walk-Ins are welcome. A place where five days a week offers you a 2-3 hours of painting, clay, wood working, or stamping experience with a local artist. Do you have questions or want to visit their site to learn more? Then follow the link above. The Cuyahoga Valley Art Center is a wonderful place for adults to learn a variety of art expressions. From acrylic, mixed media, collage journaling, drawing, ceramics and painting, the center truly offers a wide range of art instruction. They seem to geared more to the adult population, although they do say they can accept responsible 12 year olds, and do have classes for 13-18 years old. But, if you are looking for a younger child art instruction class, this may not be the place for you. All Fired Up is creative studio located in the Akron/Montrose/Fairlawn area.They have called this area their home for the last 15 years, and they offer classes for all ages and all skills levels. When considering classes for your young ones, this is a bit of information you appreciate when researching art classes and studios in the area.They offer painting, pottery, glass fusing and canvas painting classes for you and your children to explore. Art online? You bet! If you don’t have the time to take your child to an art class outside the home? No problem. Art in Action provides an online curriculum with a nine level program, and age appropriate lessons for your child. From Kindergartner to 8th. Grade, this place is sure to provide some alternatives for you and your child. We sincerely hope you have found the art place you’ve looking for, and to email us if you would like to be included. 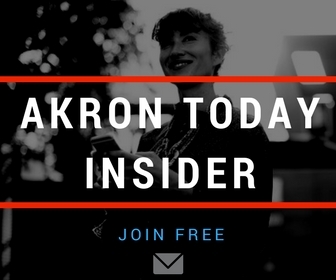 you will certainly enjoy in the Akron area. These are a few of the many parks and trails you will find around Akron. Pick one and re-discover nature with your family. Caring for an aging parent is a major source of stress for caregivers. Trying to manage your loved one’s health, and home, while juggling a career and raising your own family, can be overwhelming. Your health, and your relationships with your spouse and other family members, can suffer. But what are your options? For many in this situation, the solution is home care. At BAYADA Home Health Care, our nurses, aides, and therapists enable people to remain safely in their homes with comfort, independence, and dignity – and provide families with peace of mind. The clinicians come directly to your loved one’s home. Patients heal more quickly at home than in the hospital, since they are able to remain in familiar surroundings. And home care can provide you with peace of mind, knowing that all of the details are being handled for you and your loved ones are being cared for where they want to be. How do I know what home care services are needed? For seniors who are relatively healthy but need help to remain safely at home, services from a therapist can help your loved one with stairs, bathing or increasing or maintaining independence with daily tasks. Others may require skilled services from a nurse or therapist. Some companies, like BAYADA, provide specialized services to keep those with Alzheimer’s, Parkinson’s, and other illnesses safe in their homes. How can I know that the caregivers are high quality and trustworthy? You should consider only those home care providers whose caregivers are employees of the company – not part of a registry. Reputable companies have stringent hiring standards, including checking references, criminal background, and work experience. BAYADA hires only those who provide care with compassion, excellence, and reliability – our core values. Make sure the provider is accredited. BAYADA is accredited by the Community Health Accreditation Partner, a leader in home care accreditation. BAYADA Home health care has been in business for over 40 years, however is new to Ohio with an office located at 2497 State Rd. Cuyahoga Falls, OH 44223. For more information about how BAYADA can help you and your loved ones find peace of mind, call 330-929-5512. Recently Habitat For Humanity Summit County completed their 200th home in the Akron area. Akron Today Magazine interviewed Habitat For Humanity Summit County CEO and President, Rochelle Sibbio. Here is the Q&A. 1) In 2018, Habitat For Humanity Summit County is building it’s 200th home. How does that feel and what are the goals for the next five years? It feels amazing to know that we have helped 200 families become homeowners in our community! From the beginnings of the Summit County Habitat affiliate to today I don’t know that the founding board members thought we would get this far in our history. Our very first project was a rehab of a home on Sylvan Avenue and Dorothy Connelly is still the owner of that home today. In the next five years aggressively we would like to build 10 new homes a year, repair 20 homes a year and continue our deconstruction program as a leader in the industry and with Habitat around the US. We are projected to grow our ReStore to $2 million in gross revenue in the next five years and we started that this April by opening an additional day a week. 2) How has your mission changed over the years and what is the primary focus now? Habitat’s mission has been steadfast for 42 years since it was founded in Americus, GA in 1977; to eliminate substandard housing and a vision where everyone has a decent place to live. While the language and sentencing may have changed over the years the mission and vision remain rooted in homeownership. In the last several years, many affiliates, including ours, began an exterior home repair program. Our goal is to keep families warm, safe, and dry in their homes which many times can lessen the utility bills and maintain the home as an affordable place to live and raise a family. The Summit County affiliate was more of an in-fill builder (one home here one home there) and over the last five years we have focused more on specific neighborhoods where we can do Neighborhood Revitalization which can mean building new construction homes, home repair and deconstruction/demolition work to make way for development once the blight is removed. With the opening of the Summit County ReStore in 2007 the community has supported this venture to provide the necessary funding to continue our mission and expand our mission to do more. But there is always more to do! 3) What does your organization need most? Money? Volunteers? Donated Items? I would say all of those are highly needed by our affiliate. The funding is needed to build each home, repair each home in advance of the project completion. Habitat is not made whole at the closing of a mortgage since we act as the developer, general contractor, and mortgage holder and servicer. Our families pay us back over the 30 year life of the zero interest mortgage but our building materials have to be paid for as the home is built. Volunteers build nearly 80% of each home from raising walls, hanging siding, installing insulation, putting up drywall – mudding it and finishing it, prime and paint walls, to installing windows and doors and completing the landscaping. It’s a heavy lift! Approximately 2,500 hours to build a home with volunteers and generally over 300 volunteers per project. The donated items that aren’t geared for new construction are placed in our ReStore for sale to the general public. Those dollars fill our gaps in construction and keep the lights on and a roof over the head of the staff that work side by side with families. 4) How do your homes help the greater neighborhoods they are in? Habitat homes raise property values, especially when we are blessed to build more than one or two homes on a street or in a particular neighborhood. For example, we recently completed two homes side by side in Cuyahoga Falls on Magnolia Street. They were the first two new construction homes on the street since 1987 and prior to that one house built the housing stock on the street dated into the 1940’s and 1950’s. The homes appraised at $145,000 each and will help to increase property values of the neighboring homes. We inspire in neighborhoods as well especially when we do Neighborhood Reborn projects which are our exterior home repair which takes place in specific neighborhoods. We are highly focused with this work in Akron’s Middlebury area and will be doing NRVII in May and moving up to the University Park Neighborhood for the August and October NRVIII and NRIX. While we may be able to complete upwards of 10 home repair projects for homeowners we work with the tenant occupied properties to install solar powered security lights, plant flowers and flower bulbs, and some other general landscape and empower all residents of the street whether homeowners or renters to come together for the betterment of their neighborhood. 5) How can people find out more about you and get involved? Our website is a wealth of information on being a volunteer on the job site or in the ReStore. We also have a weekly electronic newsletter that is pushed out to our subscribers every Tuesday afternoon that is filled with information about what’s coming up and items that are new in the ReStore. We are also happy to come to workplace, church, service club or community meeting and tell our story and offer ways that people can sign up to join our efforts in making sure that everyone has a decent place to live. As a member of the Kent community, I have long felt that the city needs it’s own large, serious rec center for the local residents. Cuyahoga Falls has the Natatorium, but Kent has had few options. Kent State University has a great facility but it is priced too high for local residents, which is fair as it is a student facility and not meant to serve the local community. The local Kent Rec Center is a nice option due to no long term commitment, but it is small and limited. Now, Issue 8 will be on the ballot November, 2017, to fund a center that will serve the whole community. I asked park director John Idone to write up a short piece on the issue. Kent Parks & Recreation has studied the concept of a Health & Wellness Center and surveyed the community with both written and online surveys to listen to what their vision was for the proposed project. This input, along with a review of current program offerings, confirmed that there is a need for a indoor health and wellness center to support senior, athletic, fitness, meeting, wellness and community functions. The desire is to create a place for the whole community, for citizens of all ages that is affordable. Capital cost to develop the facility is estimated at 17.5M and if approved would be funded through a dedicated 28 year bond issue that will be voted on by the citizens of Kent on November 7th as Issue # 8. Kent residents will receive reduced membership costs. The monthly cost for a $100,000 home is estimated at $7.43 and $5.57 for seniors 65 & over. The Health & Wellness Center will be constructed on the seven acre parcel located across the street from Fred Fuller Park. This site was selected because of its connection to our largest park and for its central location with high visibility. The proposed space program of 72,000 sf includes gymnasium spaces, an indoor turf field, elevated walking track, fitness equipment areas, fitness classrooms, senior and community rooms, locker rooms, a central gathering area, administrative offices, and allowance of up to 5,000 sf for a health partner to occupy. In addition to the wide scope of programs offered by Kent Parks & Recreation a Senior Center will be incorporated into the building to provide facilities and programs for older adults. The Wellness Center promises to be an intergenerational place for friendship, lifelong learning and fun. It will not only be a place to achieve your health and fitness goals, but in cooperation with our hospital partner a comprehensive wellness program will be offered including physical therapy, diabetes prevention, weight management, smoking cessation, blood pressure screenings, and healthy cooking classes. Seniors who have Silver Sneakers card can access the facility free of charge. While Kent has a substantial park system, indoor year round activities are lacking due to limited facilities. A Health & Wellness Center is a goal of the long range Master Plan and is the missing piece to provide a comprehensive parks and recreation program for the Kent community. Please support Issue 8. Red Lobster serves seafood dishes in their locations all over the country. Red Lobster was founded by Bill Darden in 1968. Since that first restaurant opened, the company has continuously expanded throughout the rest of the country to serve their every growing client list. They have continuously added seafood dishes to their menu according to what their customers want and this has made Red Lobster such a success in today’s food industry. At Red Lobster, they take pride in serving their customers great seafood. In fact, the restaurant’s tagline is “We Sea Food Differently”. Their fishermen also make it a point to catch the freshest fish and great-quality seafood. Their grillers are experts when it comes to cooking their dishes to perfection. Red Lobsters staff are friendly and welcoming to their customers, making them feel comfortable during their meals. Red Lobster also takes pride in their innovative dishes, like their popcorn shrimp. Their restaurant has grown to 680 locations in the United States and Canada. Despite being the large chain that it is today, the company still continues to live by the principles that their founder has taught them – that customers can expect high-quality seafood and service in their restaurants. Are you a big fan of sea food? Try Red Lobster and feast on their offerings today.